This is the same unit that we at BatteryStuff use in our own warehouse to recover/maintain batteries. The results are truly impressive. The PulseTech PRO-12-RP is designed to keep as many as 12 batteries ''Factory Fresh''! All batteries, even new batteries, are subject to a naturally occurring buildup of lead sulfate deposits that reduce the battery's ability to accept, store and release energy. Since batteries frequently spend months in transit and in warehouses before you receive them you are set up to fail despite your best efforts. 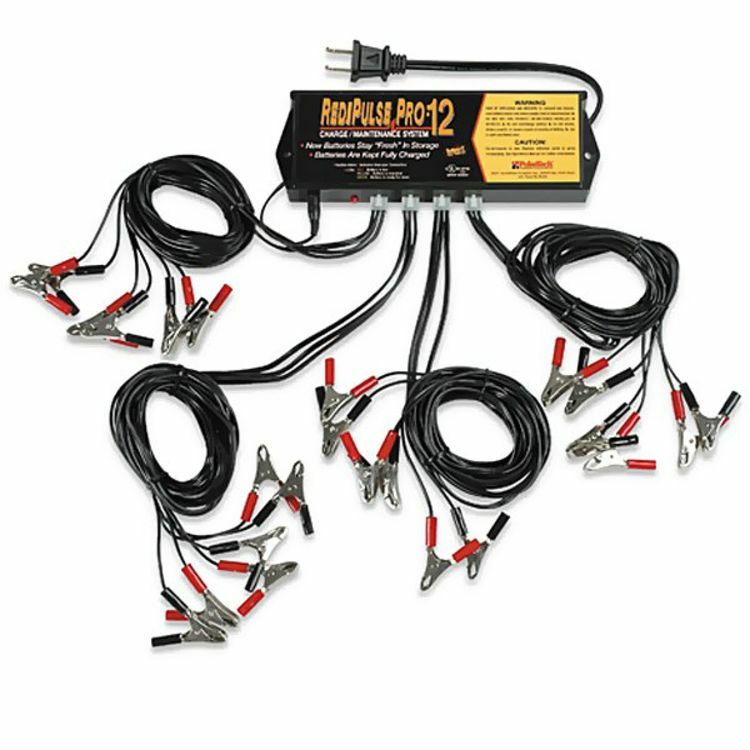 The PRO-12-RP is easy to use! 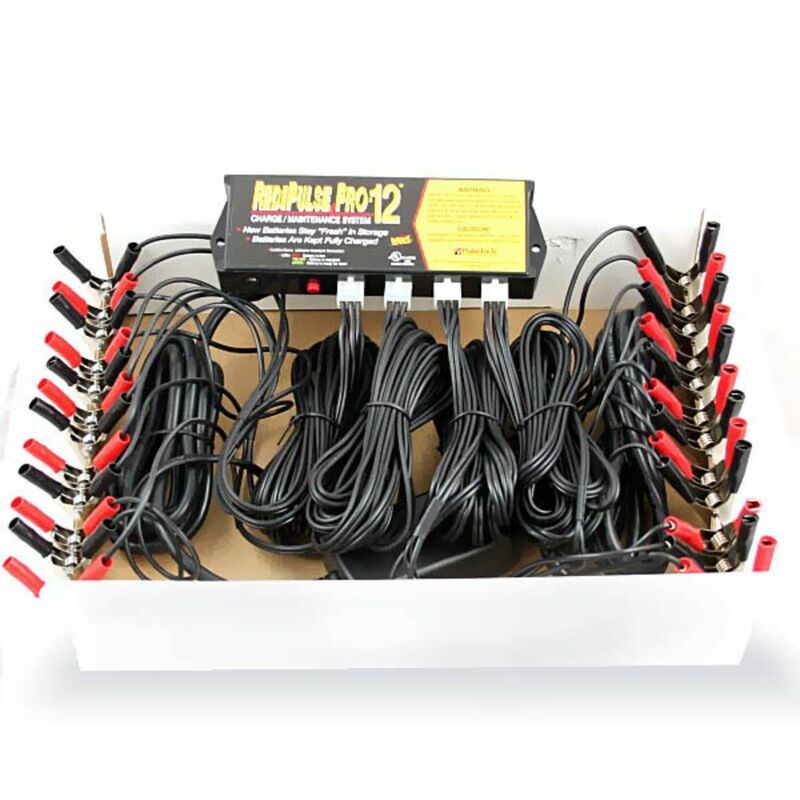 Simply plug the unit it and it will initiate a self-test during which each of the 12 battery LED indicators will come on green, turn yellow and then red. Then the Pulse and Charge indicator LEDs will come on. Once the self-test is complete, the unit will begin cycling through each of the batteries connected. 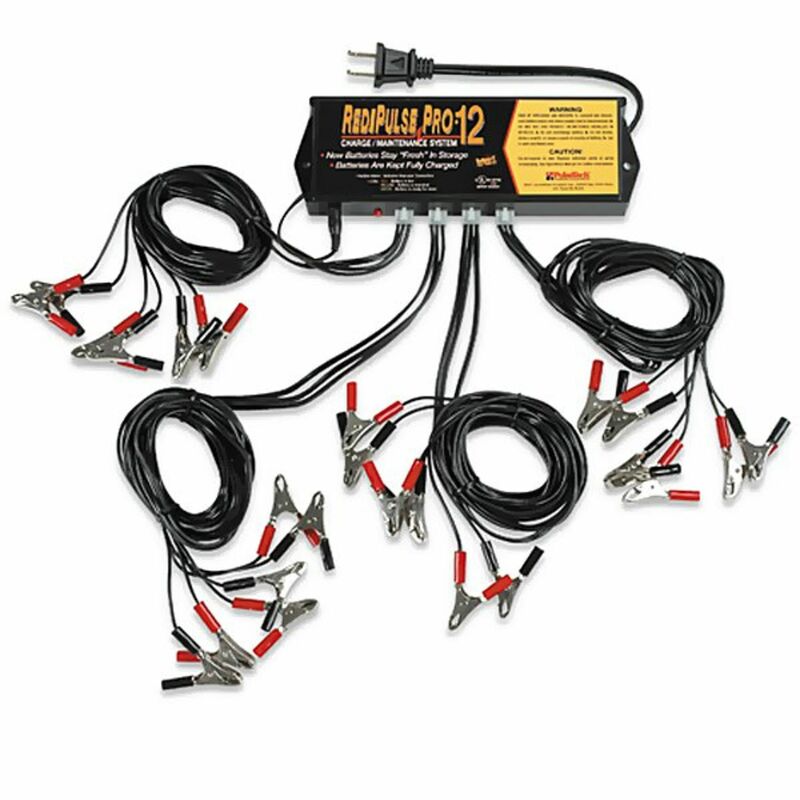 The PRO-12-RP is a maintenance system and is not designed to operate on batteries below 11.5 volts. Ideally any discharged battery should be recharged prior to being connected to the PRO-12-RP for maintenance as the RediPulse is a low amp maintenance system. This unit is designed for battery shops in order to keep new batteries factory fresh. On older batteries with a higher discharge rate this unit may not offer sufficient amperage to serve as a maintainer. Do you own the RPpro12? Please, tell us what you think about it. It helps us provide you with better products. Please note that it may take up to 72 hours for your review to appear. Pros: Great product. Have had my first for 2 years now ordering a second. I used to buy at least 6 batteries a year now maybe one a year. Really extends battery life. Now adding the second to the equipment barn and extending leads so that equipment is charging all the time. Never go out to a dead battery! Cons: Battery must be at 11.5v for this unit. Not a problem for me. For more money they make stronger units. So not really a down side. I use a smart charger for these occasions.